The University of Queensland is offering PhD position in molecular biology. The funds for this position are available for 3 years. Candidates are welcome before December 12, 2018. The Faculty of Medicine is a leading provider of medical education and medical research in Queensland, with the country’s largest medical program. The four year graduate entry medical program offers an integrated, case-based curriculum including early clinical experiences. The School is a diverse enterprise operating over multiple sites, with Queensland Health and private health service providers as major partners. Geographically, the School extends throughout Queensland with major sites in Brisbane, the outer metropolitan areas, and a number of rural and remote area facilities throughout the rest of the state. The UQ medical degree is also delivered overseas in Brunei and the United States of America, emphasising the global nature of the School. Mater Research Institute-UQ (MRI-UQ) is a world class institute committed to academic research and its translation into clinical care for the benefit of all. MRI-UQ is an alliance between Mater Research and UQ, providing strategic and operational benefits to both parties. Mater Research brings to the alliance considerable clinical collaboration opportunites and UQ brings all its expertise as a research, education and teaching institution. 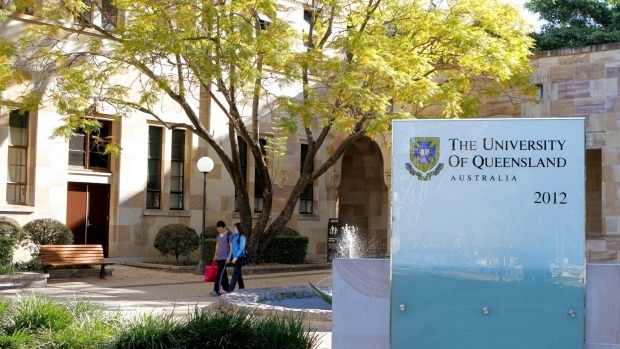 MRI-UQ has more than 300 research staff, post graduate students and clinical researchers. There are currently 70 students undertaking a PhD, MPhil or Honours program. The project supervisors are Professor David Hume, an internationally-recognised expert in macrophage biology, Dr Katharine Irvine, a senior research fellow with extensive knowledge and experience in the field of innate immunity and Professor Kim Summers, an expert in genetics and transcriptome analysis. Their research program concerns the role of cells of the innate system, in particular macrophages, in development, homeostasis and pathophysiology in major organ systems, and how they can be harnessed to the benefit of human health. The work focusses specifically on diseases of the liver and brain, and on harnessing macrophage biology in regenerative medicine and tissue repair. The team has strong international links, particularly with The University of Edinburgh, where Professor Hume served as Director of The Roslin Institute from 2007 to 2017.
a) Applicants should possess a Bachelor with honours (H1 or H2A) or a Masters Degree in a related field (e.g. immunology, physiology, biochemistry, or molecular biology) and have a strong motivation to pursue a PhD degree. b) Applicants must be eligible to apply for a competitive living allowance scholarship (e.g. UQGSS or equivalent https://scholarships.uq.edu.au/scholarship/uq-graduate-school-scholarship-uqgss) to support full-time study. c) Applicants must have the ability to develop technical laboratory skills including in vitro and in vivo techniques, and skills in research methodology, data analysis, and scientific writing. d) Applicants must have excellent writing abilities, and the ability to work effectively within a multidisciplinary and international research team. e) Applicants must be able to enrol full-time in the PhD program. A PhD scholarship stipend of $27,596 per annum (2019) for 3 years, with a possible six-month extension. Scholarships are tax exempt for Australian citizens and residents. University fees may apply to overseas candidates. Further information can be obtained by emailing Professor Hume (david.hume@roslin.ed.ac.uk) or Dr Irvine (Katharine.irvine@uq.edu.au). Queries and applications should be directed to Professor David Hume david.hume@roslin.ed.ac.uk or Dr Katharine Irvine Katharine.irvine@uq.edu.au. To apply, please email Professor Hume david.hume@roslin.ed.ac.uk or Dr Irvine Katharine.irvine@uq.edu.auyour up-to-date curriculum vitae including names and contact details of two academic referees, and a brief statement of your research experience and interests (maximum 1 page). Please include 'PhD opportunity' in the subject line. The closing date for applications is 12 November 2018, 11:55pm E.Australia Standard Time.